Mendel concentrated in one or few characters at a time. He made controlled crosses and kept careful numerical records of results. The experimental material, Pisum sativum was a wise choice. Pisum sativum has large bisexual flowers. As the flowers are large, emasculation is easy. Emasculation is the removal of anthers from bisexual flowers before their stigma become mature. Emasculation is a prerequisite for hybridization because pollination of a flower with its own pollen has to be totally prevented. Garden pea is a naturally self pollinated crop. 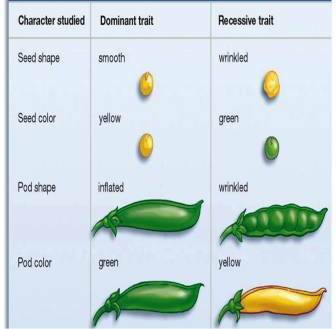 Even then, hybridization with other varieties creates no problems like reduction in the number of seeds. Many varieties are available in garden pea. So, any number of hybridization can be done taking two varieties at a time. 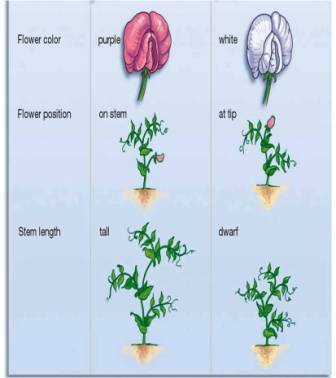 As garden pea is short duration crop, three or four generation can be raised in a year. Thus, the course of transmission of factors through several generations can be traced within a short span of time.